The latest Surface Pro 4 was introduced by Microsoft on an even held last day. Its predecessor Surface Pro 3 was launched in May 2014 and the company was busy with developing Windows 10. So the tab lovers had to wait for more than 1 year for the next Surface Pro tab from Microsoft. With the successful introduction of Windows 10, it seems that Microsoft is also confident with the launch of Surface Pro 4, which is regarded as the potential competitor to iPad Pro and Google Pixel c in the tech world.Certain notable features about the latest tab are that this one is slimmer, lighter, powerful and with larger display than Surface Pro 3. Surface Pro is powered by Skylake Processors from Intel family. The operating system that makes the tab functions is obviously Windows 10. The tab is loaded with a Fingerprint Sensor integrated to the keyboard. Also Cortana, the digital assistant, is also integrated with the gadget. These features make the tab state of the art gadget of this year. 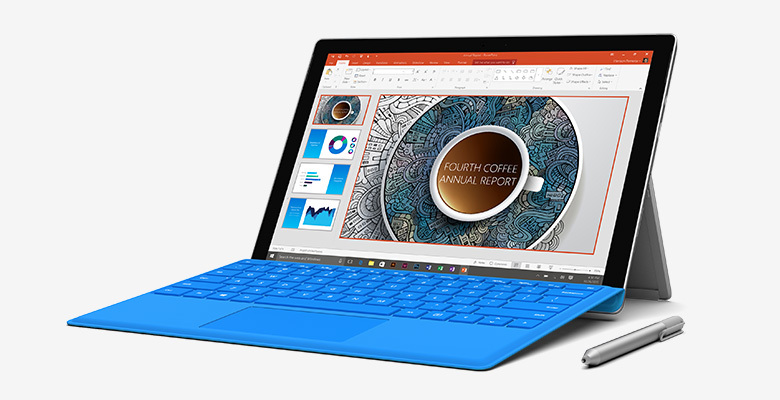 The company assures that Surface Pro 4 functions 30% swifter than Surface Pro 3. When it is compared with MacBook Air, it performs 50% swifter. So it is obvious that Surface Pro 4 could give a real tough competition to iPad Pro also. The new tablet is loaded with Hybrid Cooling System, which will prevent it getting heat during the use. The screen is huge with 12.3 inches edge to edge along with 5 million pixels with 267 PPI. The display is sharper with the PixelSense Technology. The crystal clear display is possible with 0.4mm Gorilla Glass 4 along with 1.1mm backlight unit. It delivers a fair feeling to the users with the help of G5 chipset that performs optical functioning of the gadget.This gadget gives you a storage capacity of upto 1TB and RAM of 16GB, which of course costs you a bit. The latest comes is packed along with Surface Pen. It is loaded with an eraser on its back. Another stunning feature of this pen is that it is loaded with 1024 pressure sensitivity levels and is sticked magnetically to one of the sides of the tab. The Pen cannot be recharged when its power is exhausted. But the company assures that the pen remains active for a period of 1 year with its current battery. You don’t have to buy Surface Pen separately, since it is packed along with the tab. Cortana, the digital assistant is also pre-loaded in the pen. If you want to open Cortana, you have to hold down the pen eraser for some time. As I mentioned earlier, that this gadget is thinner than the previous one. 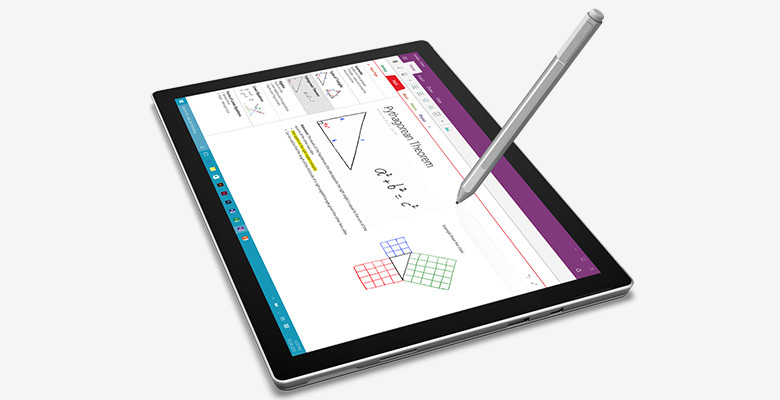 Surface Pro 4 is just 8.4mm thick. The device is loaded with four USB ports of v3.0 for data transfer, two 4K DisplayPort, Ethernet and one Docking Station. Also the feature called Windows Hello Camera is also loaded to the device. With Surface Pro 4, Microsoft is trying to get rid you from carrying heavy laptops. Surface Pro 4 comes with a price of $899. It is available for pre-order also. Company informed that the product will start its shipping by 26th of October. By going through the features of the new gadget it is quite clear that Surface Pro 4 is really powerful, thinner and better than its potential competitors and also can be used a better alternative to laptops available in the market.